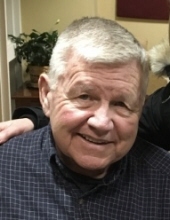 John “Jack” J. Weiss Sr.
View The Obituary For Thomas Weston of Millis. Please join us in Loving, Sharing and Memorializing Thomas Weston on this permanent online memorial presented by J.B. Johnson Funeral Home. View The Obituary For Dorothy A. Harris of Boston, Massachusetts. Please join us in Loving, Sharing and Memorializing Dorothy A. Harris on this permanent online memorial presented by J.B. Johnson Funeral Home. View The Obituary For Sandor "Alex" Doka of Reading, Massachusetts. Please join us in Loving, Sharing and Memorializing Sandor "Alex" Doka on this permanent online memorial presented by Douglass, Edgerley, & Bessom Funeral Home. Died Friday, December 14, 2018. Funeral service 1-3pm Wednesday, December 19, 2018. Hidden Hills Function Hall, Rindge, NH -Celebration of Life…. Clara F. “Claire” (Guglia) Buckley, age 93, of Brockton, died December 13, 2018 after a lengthy illness. She was the wife of the late Gerald B….